Mahey Palace is situated in Leh, the erstwhile capital of the kingdom of Ladakh.Mahey Palace is in and around famous tourist places like Prayer Wheel 1.6km Namgyal Tsemo Gompa 4.4km Spituk Monastery 8.2km Gurudwara Pathar Sahib 24.8km Magnetic Hill 28.4km and many more. The hotel offers facilities like car rental facility, travel desk, parking.Guest can request for doctor on call facility in case of any medical emergency. Express Check-In/Check-Out, Gardens, Room Service, Doctor on Call, Complimentary Newspapers in Lobby, Front Desk, Parking, Internet/Wi-Fi, Airport Transportation, Backup Generator. Air Conditioning Room, Iron/Ironing Board, Complimentary Newspaper, H/C Water, Ceiling Fan, Luggage Rack, Makeup/Shaving Mirror, Telephone, House Keeping, Bottled Water in Room. 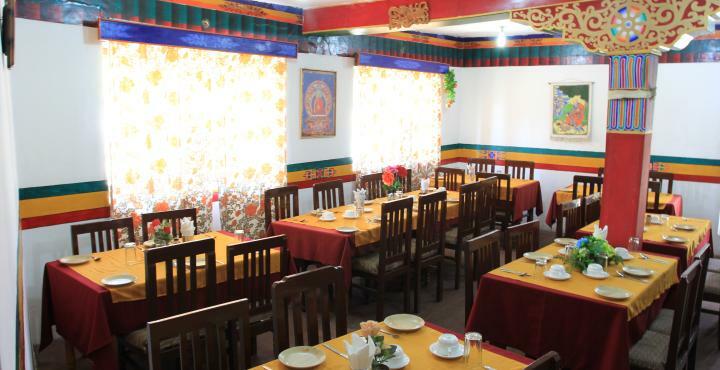 User reviews for "Mahay Palace Hotel Leh"